If you’ve ever stayed at one of the Disney resort hotels, you know that the restaurants at the hotels are often less crowded than the restaurants in the parks. 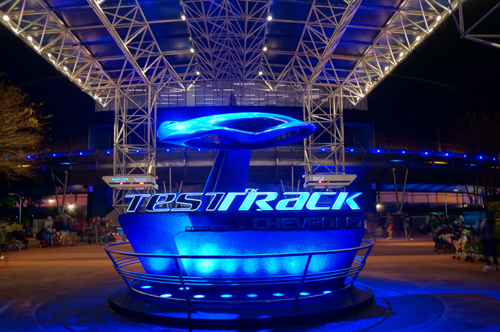 You may also know that I’m a big proponent of the mid-day break during which you head back to your hotel, relax, take a short nap, and avoid the peak crowd levels at the Disney World Parks. Heading back to your hotel for lunch or dinner can be a good option especially if your hotel has a good quick-service restaurant. Let’s take a look at the best (and not-so-best) quick-service restaurants in Disney World, based on survey results and rankings provided by Touring Plans. Of the over 122,000 dining surveys collected by Disney World in 2016, 98% of surveys rated Pineapple Lanai at Disney’s Polynesian Resort positively. The only thing that this restaurant serves is Dole Whip, so it’s not hard to get a positive rating here, but what’s really important is that this is an excellent place to get your fix outside of the parks- and there’s usually a short line! 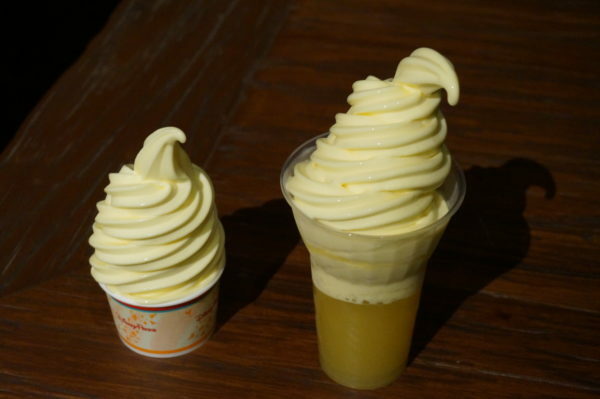 Dole whip in a cone or cup- everyone loves it! 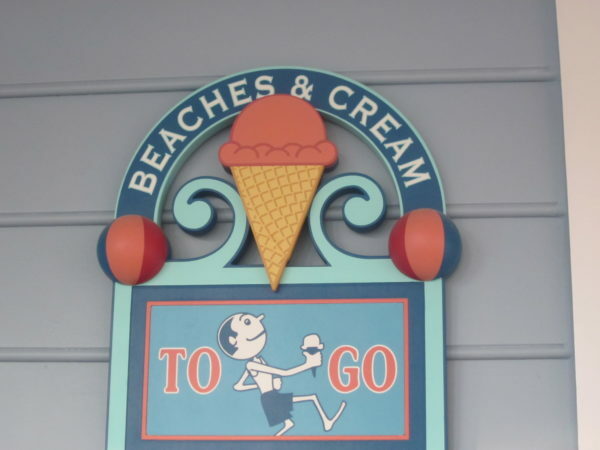 Beaches and Cream is located at Disney’s Beach Club Resort, and there’s a walk-up window that serves hand-scooped ice cream in a cup or cone along with ice cream sandwiches and a Coke or Root Beer Float. You can also get a Mini Mickey Sink! Beaches and Cream is a popular place for good ice cream! While only 177 surveys were collected here, over 95% of diners gave this location a thumbs up! The Boardwalk Bakery at Disney’s Boardwalk near Disney’s Boardwalk Inn has a delicious menu including pastries and beverages. 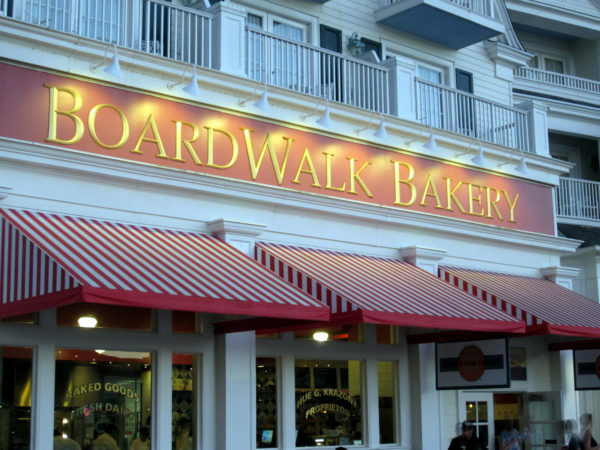 Out of 373 surveys, over 93% rated BoardWalk Bakery favorably. Stop by the BoardWalk Bakery for some freshly-baked treats. Ample Hills Creamery is also located at Disney’s Boardwalk and was rated similar to the nearby Boardwalk Bakery with 183 people giving it a 93% rating. Considering Ample Hills garnered less than half of the number of surveys, that’s a pretty good rating! This is a bit surprising since it’s easy to spend $10 on an ice cream cone! 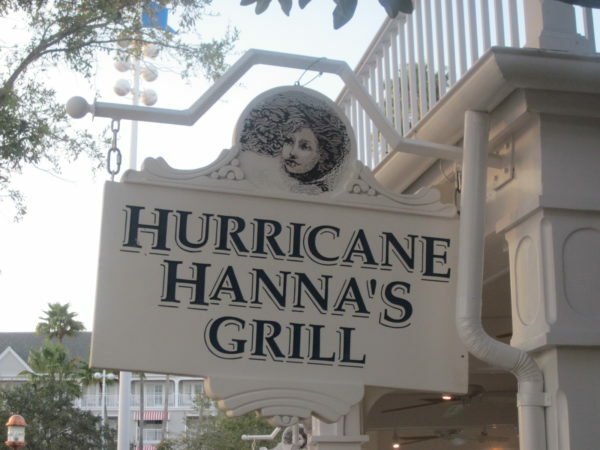 Hurricane Hanna’s Grill, at Disney’s Beach Club Resort, sits waterside of the popular Stormalong Bay. This pool bar serves up tasty, though typical, entrees, snacks, and kids’ meals for lunch plus a variety of non-alcoholic and alcoholic beverages. With 205 surveys completed in 2016, almost 92% liked the restaurant. Hurricane Hanna’s Grill is near the very popular Stormalong Bay. Disney’s Value Resorts have food courts instead of restaurants, and the food court at Disney’s All-Star Movies Resort is World Premiere Food Court. 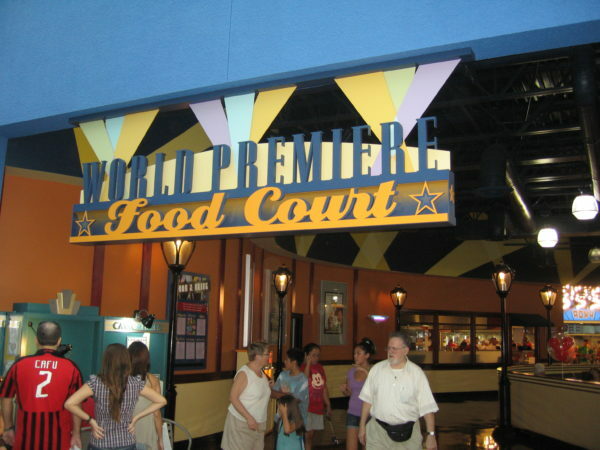 The area, which is themed after the cinema and even has some fake cameras set up, has five food stations including a convenience store with snacks and refrigerated grab and go items. World Premiere Food Court rated highest among the All-Star Resorts. Out of 164 votes, this area earned almost a 91% positive rating. While it’s not as good as other places, it ranks as the best Value Resort food court on property. 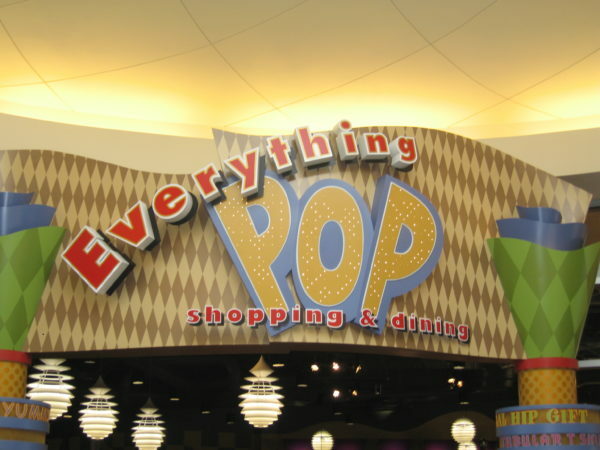 The Everything Pop Shopping and Dining is located at another Value Resort hotel: Disney’s Pop Century Resort. This is one of the largest food courts on property with seven stations including a grab and go area and pizza delivery. Everything Pop is a one stop shop for Shopping and Dining. 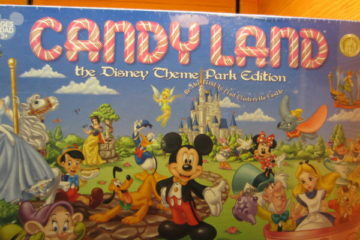 Everything Pop is a very popular place. It’s always busy, and they serve a ton of food with lots of variety. This is obvious in the fact that there were 1,071 surveys completed; that’s almost ten times most others and almost double the next highest restaurant. However, only 90% of guests rated it favorably. That’s pretty low considering how many surveys were completed. 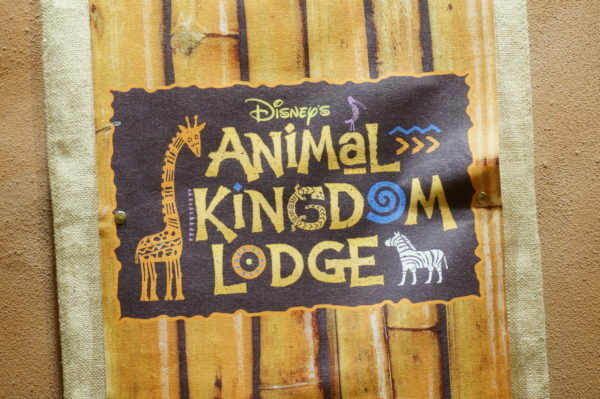 The Mara at Disney’s Animal Kingdom Lodge in the Jambo House is an area with a fun theme. It’s named for a river that flows through Kenya and Tanzania, but the restaurant looks like a savanna with trees and the ceiling is a sky. Here you’ll find African-inspired eats. Disney’s Animal Kingdom Lodge has some excellent theming even in the restaurants. The Mara was rated 451 times for a total rating of almost 90%. 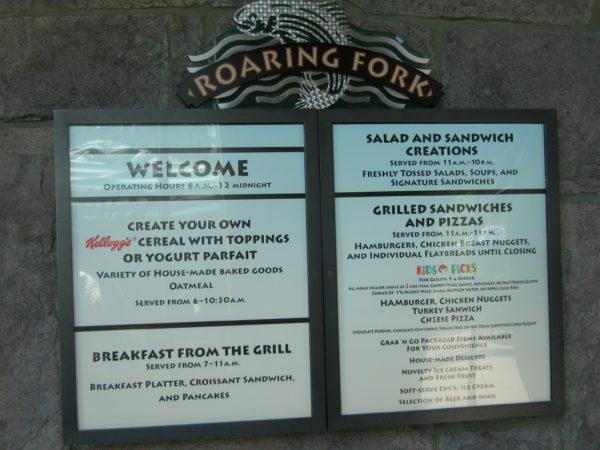 Roaring Fork is quick-service dining with a convenience store feel at Disney’s Wilderness Lodge Resort. In the morning, you can pick up continental and hot breakfast items. Lunch and dinner is gourmet sandwiches, grill items and pizza. They also sell beer and wine. Roaring Fork has a small but satisfying menu. After 253 votes, Roaring Fork was earned an average 89% rating. 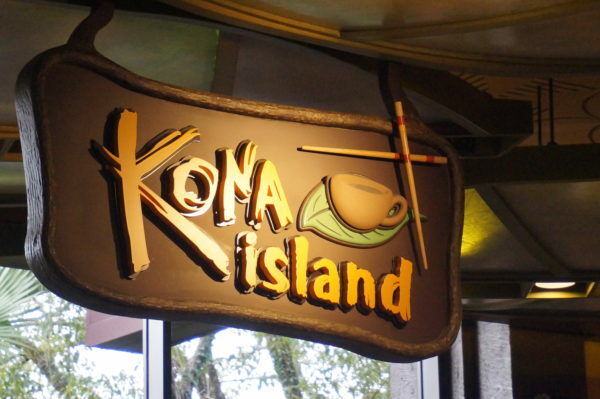 Kona Island is another quick service location at Disney’s Polynesian Resort. 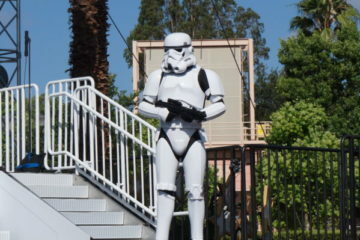 This area isn’t very big, and it’s located just outside of Kona Café, which is a table-service restaurant. Stop by for some coffee and a pastry on your way out to the monorail. When you come back for your mid-day break, enjoy sushi and sashimi beginning at noon. Kona Island definitely has a South Pacific vibe. There were 154 people that rated Kona Island in 2016; 89% gave it a thumbs up, which is the average for the list. This colorful food court is located at Disney’s Saratoga Springs Resort. They serve gourmet sandwiches, soup, salad, flatbreads, and grab and go items for lunch and dinner. Hot breakfast is served until 11am. The Artist’s Palette is a colorful place! With 188 surveys, The Artist’s Palette earned less than 88% positive reviews. Contempo Café is a food court setting in Disney’s Contemporary Resort Hotel. Grab frittatas, eggs, French toast, pastries, fruit, salads, sandwiches, flatbreads, or pasta to eat in or pick up a grab and go item for your short walk across the street to Magic Kingdom. Over 560 people chimed in and gave this restaurant an 87.4% rating. Disney’s Port Orleans Resort has lots of dining options because its huge campus is made up of two sections: French Quarter and Riverside. The Sassagoula Floatworks and Food Factory is located in the French Quarter. It appropriately has a Mardi Gras theme and serves Cajun/Creole cuisine in American style. 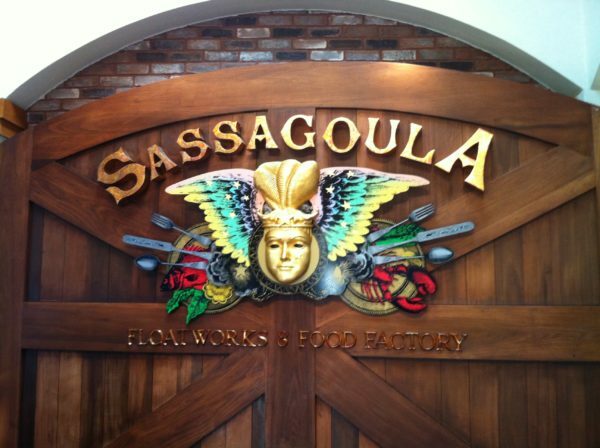 Sassagoula Floatworks & Food Factory is one of the many places to eat at Disney’s Port Orleans Resort. With 511 votes, 87.3% gave it a thumbs up. 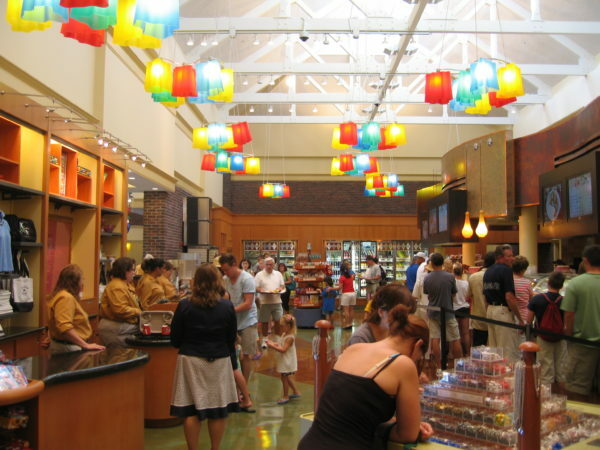 The Riverside Mill Food Court is also located at Disney’s Port Orleans Resort, but it’s in the Riverside section. As is true with other food courts, you’ll find a variety of items for breakfast, lunch, and dinner including pastries, burgers, and chicken nuggets, but there are some special items here like a Fried Green Tomato and Fried Okra. The Riverside Mill has some cool views. This wooded restaurant has an amazing view with the big mill wheel powering a working cotton press. It’s a good thing too, because only 87% of 697 people voted the restaurant favorably. 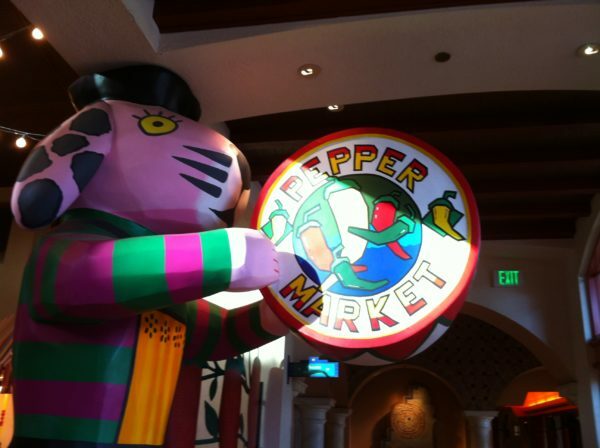 The Pepper Market at Disney’s Coronado Springs Resort has a South of the Border theme with fiesta-style colors and an outdoor marketplace feel. There are seven different stations serving Mexican-American cuisine like a Southwest Omelet for breakfast, and tacos, rice bowls, and empanadas for lunch and dinner. The Pepper Market brings Mexican and American style and cuisine together. The Pepper Market did worse than average; of 358 surveys, only 85% rated it well. I’ve personally found the food to be pretty good, but the service to be pretty slow. 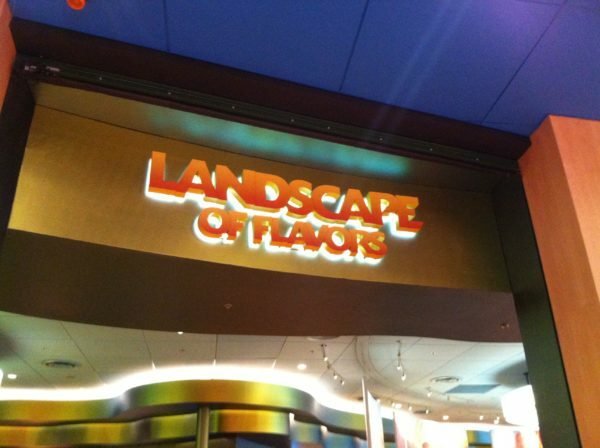 Many of you know that Landscape of Flavors is one of my favorite quick-service restaurants at the Disney Resort Hotels. Disney’s Art of Animation Resort is the newest resort on property, and Landscape of Flavors reflects this modernity in its coloring, fixtures, and food. You can get Indian food here! Landscape of Flavors may not have received a very high rating, but it’s still one of my favorites. However, only 85% of the 615 people surveyed gave it a thumbs up. 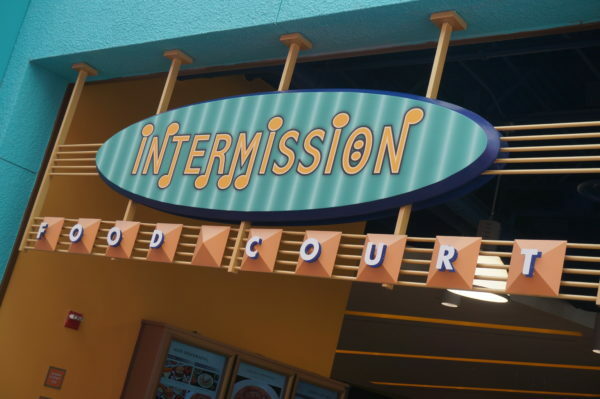 Disney’s All-Star Music Resort is home to Intermission Food Court, which earned an 85% out of 166 surveys. Intermission Food Court has a fun musical theme appropriate for the resort. The area recently saw a makeover with some really cool theming, but the food is still pretty basic including burgers, pizza, pasta, hot and cold sandwiches, quesadillas, nachos, and desserts with a grab and go area as well. While the food isn’t bad, it’s not going to impress either. 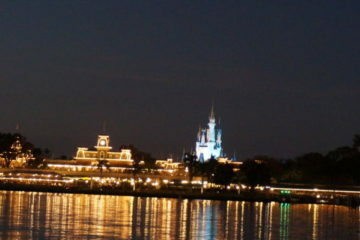 Disney’s All-Star Sports Resort is known for attracting large groups of high school students like cheerleaders, baseball players, and band members. This is a popular resort for them because it’s one of the least expensive value resorts on property. If this isn’t reason enough to second guess booking a stay here, know that the only food court at the resort received an 83% favorable rating out of 169 guests surveyed. 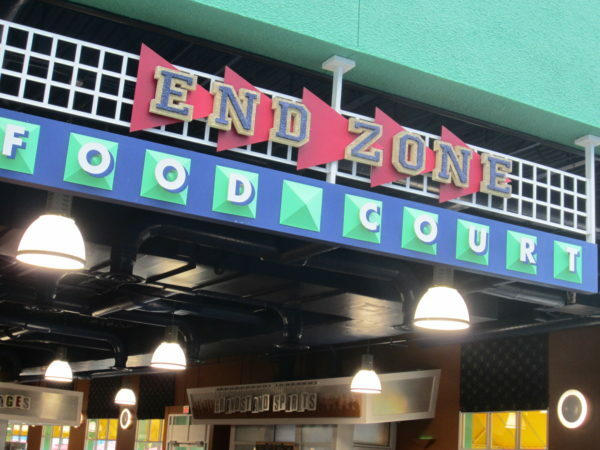 End Zone Food Court is perfect for the large groups of high school students that frequent this hotel. While the lineup of burgers, pizza, hot dogs, smoothies, gelato, and make-your-own-pasta will satisfy and even delight kids, it leaves a little to be desired for most adults. 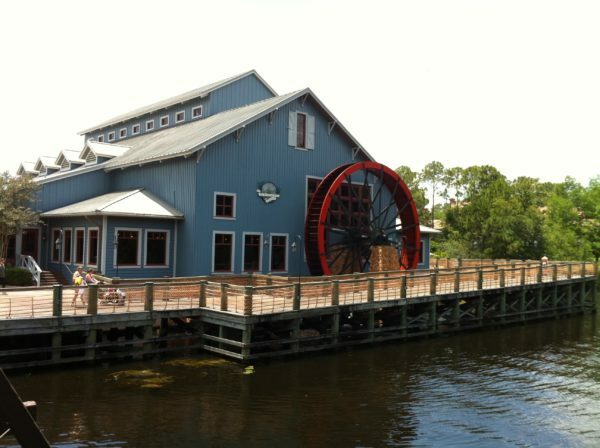 Disney’s Boardwalk Resort is adjacent to Disney’s Boardwalk, which is home to BoardWalk Joe’s. The area is like Disney Springs, but it’s a lot smaller. Nonetheless, it is worth visiting. BoardWalt Joe’s Marvelous Margaritas pours margaritas, pina coladas, and pineapple smoothies to guests looking for a cool down. However, guests didn’t seem to think that their margaritas were so marvelous because they gave it an 83% positive rating. However, it should be noted that only 54 people were surveyed. 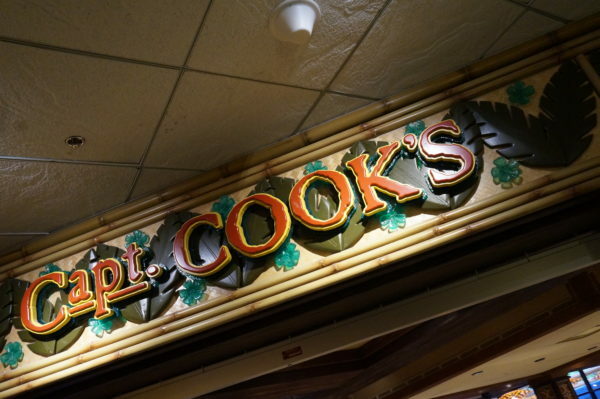 Captain Cook’s is a long-standing quick-service restaurant at Disney’s Polynesian Resort. I really like their flatbreads and nachos, and their Tonga Toast for breakfast is world renown. It’s also a good place for a late night snack after the parks, and you can pick up beer and wine. Despite the fact that Capt. Cook’s serves the famous Tonga Toast, the restaurant didn’t get a very high rating. Despite the fact that the whole resort was just renovated to become a Disney Vacation Club Resort, it seems like this place might not have received the memo. Out of 662 diners surveyed, only 81% liked it. Disney’s Caribbean Beach Resort guests have the option of dining at Old Port Royale Food Court. This colorful Caribbean marketplace opens at 7am for breakfast and serves lunch and dinner later on. The fare is pretty standard with burgers, hot dogs, chicken sandwiches, nuggets, and tropical smoothies. Old Port Royale is scheduled for a renovation starting in the summer of 2017 for an undetermined amount of time, and it’s a good thing because 439 people gave it a rating of 77%, which is significantly worse (when looking at the hard statistics, that’s two standard deviations below the mean) than average. 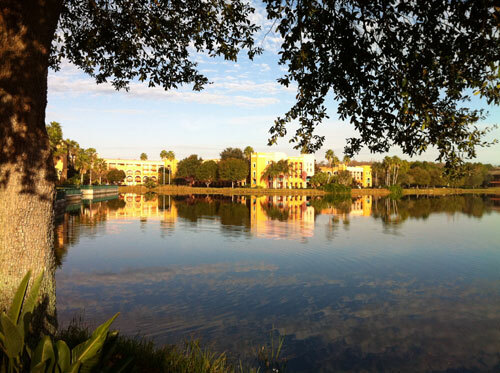 It may be worth noting that guests willing to stay at the Caribbean Beach Resort during this renovation will received a $75 gift card per night of stay for food and beverage locations around property. That could make it worth the stay! If you’ve ever ordered pizza in Disney World, you know that it isn’t always something to write home about. It should come as no surprise that BoardWalk Pizza at Disney’s Boardwalk didn’t fare so well in ratings. Out of 169 people surveyed, only 75% liked the pizza. Pick up some New England Clam Chowder at the Beach Club Marketplace. Unfortunately, guests didn’t think it was so good. Out of 324 people, less than 75% enjoyed their meal. 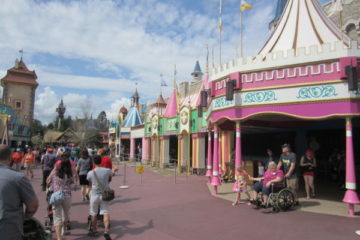 Boardwalk To Go is a cute stand on the Boardwalk serving a variety of lunch items and cold drinks. While it might be a good place to stop for a quick drink, you might want to avoid eating here since it only earned a 70% rating out of 50 people surveyed. 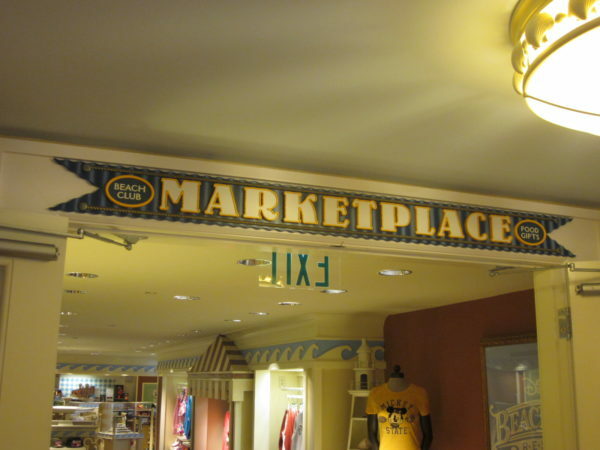 Good’s Food to Go is a grab and go outdoor marketplace at Disney’s Old Key West Resort. You’ll find all your favorites from burgers and hot dogs to soups and salads. You can either take it with you or find a picnic table near the main pool to eat. However, it seems that Good’s Food to Go may not be so good. In fact, it received the lowest rating of all the quick-service restaurants surveyed. The 69% rating from 123 people is more than three standard deviations below the mean. While these survey results may have knocked some of these restaurants for not doing so well, it’s important to note a few things, which only mathematicians might be interested in. First, these surveys aren’t particularly valid (in strict mathematical terms) because the number of people surveyed isn’t even across restaurants. Those that surveyed more people are more likely to earn a higher rating and those with fewer surveys are more like to earn a lower rating because there is more or not as much (respectively) data to average. Second, regardless of where you eat in Disney World, you’ll get Disney-quality service, and most of the restaurants fared pretty well. Finally, each person likes different things. If you really like a place, don’t stop going there just because of these ratings. They only provide quantitative data and not causal information. Which resort quick-service restaurant do you think is best?